Rancho Dental believes in using highly trained specialists whenever possible. Instead of a general dentist dabbling in braces or Invisalign, we brought on a specially trained Orthodontist, Dr. Roy Miyamoto. He received his training at Washington University School of Dentistry, and now practices at Rancho Dental, and at a practice in Orange County. Dr. Miyamoto can help you choose between traditional orthodontics or Invisalign. Traditional Orthodontics: The bread and butter of Orthodontics, this method often gives the quickest and most precise results. 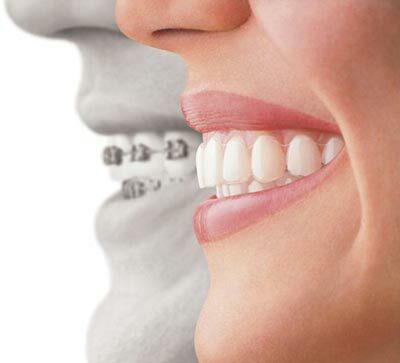 Clear braces can be used so that the braces are much less visible than if metal braces were used. Invisalign: is a method of straightening teeth using a series of clear removable trays that align your teeth “invisibly.” Not every case is best treated in this fashion, though many misalignments and malocclusions can be fixed with Invisalign.